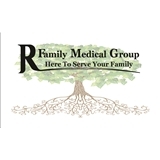 R Family Medical Group (San Antonio) - Book Appointment Online! Treated me great! Tiffany the nurse was real sweet, she had to give mr 2 shots, which of course I don't like shots but she has a real good hand at putting shots one I didn't even feel the other well it did hurt but it wasn't her it was the medicine going in, Ouch! The PA Ms Carrasco was great, very explicit with my diagnostic, look forward to going back next month!